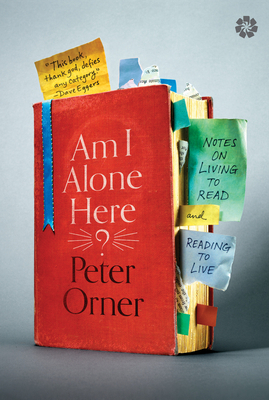 "Stories, both my own and those I've taken to heart, make up whoever it is that I've become," Peter Orner writes in this collection of essays about reading, writing, and living. Orner reads--and writes--everywhere he finds himself: a hospital cafeteria, a coffee shop in Albania, or a crowded bus in Haiti. The result is "a book of unlearned meditations that stumbles into memoir." Among the many writers Orner addresses are Isaac Babel and Zora Neale Hurston, both of whom told their truths and were silenced; Franz Kafka, who professed loneliness but craved connection; Robert Walser, who spent the last twenty-three years of his life in a Swiss insane asylum, "working" at being crazy; and Juan Rulfo, who practiced the difficult art of silence. Virginia Woolf, Eudora Welty, Yasunari Kawabata, Saul Bellow, Mavis Gallant, John Edgar Wideman, William Trevor, and V clav Havel make appearances, as well as the poet Herbert Morris--about whom almost nothing is known. Peter Orner is the author of two collections of stories, "Last Car Over the Sagamore Bridge" and "Esther Stories," and two novels, "Love and Shame" and "Love and The Second Coming of Mavala Shikongo." His stories have appeared in many periodicals, including the "Atlantic Monthly," the "New York Times," "Granta," "McSweeney s," and the "Paris Review," as well as in "The Best American Short Stories 2001." He has received the Rome Prize from the American Academy of Arts and Letters and the Bard Fiction Prize, and was a finalist for both the Hemingway Foundation/PEN Award and the New York Public Library Young Lions Fiction Award. Orner has received Guggenheim and Lannan Foundation fellowships, and two Pushcart Prizes. He lives in Bolinas, California, and is a member of the Bolinas Volunteer Fire Department."